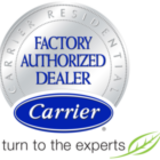 We are committed to providing air conditioning repair services in Northeast Florida. Our team of air conditioning experts use the most advanced range of tools and equipment to provide excellent services in Jacksonville, Florida. Thermostats — digital, programmable, etc.